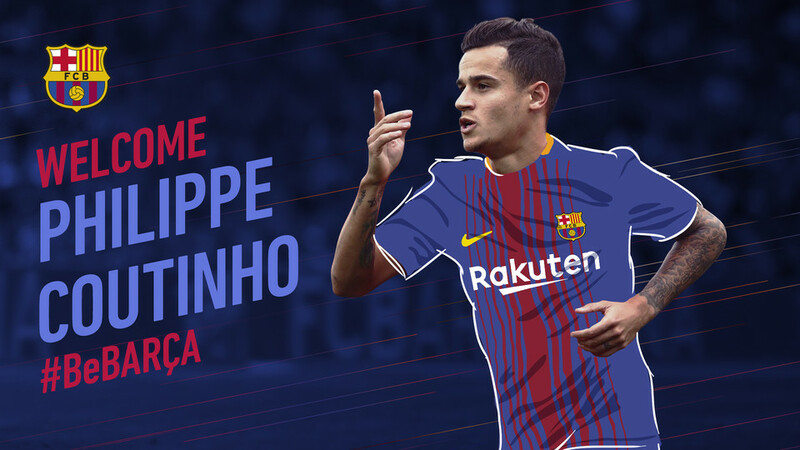 OFFICIAL: Barcelona, Liverpool Agree Lucrative Deal for Philippe Coutinho. HomesportOFFICIAL: Barcelona, Liverpool Agree Lucrative Deal for Philippe Coutinho. FC Barcelona and Liverpool FC have reached an agreement for the transfer of Philippe Coutinho. The player will sign a contract for the remainder of the season and five more, and will have a buyout clause of 400 million euros. This was a statement released on barcelona official website. The Brazilian has shown his talent and class at the highest level with Premier League club Liverpool and with the Brazilian national side. Coutinho began his footballing journey in his home town with Vasco de Gama. At the age of just 18 he moved to Europe to begin a new stage of his career at Serie A giants Inter Milan with whom he would go to make his Champions League debut. After two and half seasons in Milan and six months in Barcelona with the city’s other club Espanyol, Coutinho made the move to the Premier League when he signed for Liverpool in January 2013. With the five times European Champions, the Brazilian quickly established himself as a key player at the club.